A new student-curated exhibition inside Founders Memorial Library explores the material culture of indigenous and Muslim minorities found throughout the Philippines, a nation with a diverse history and people. 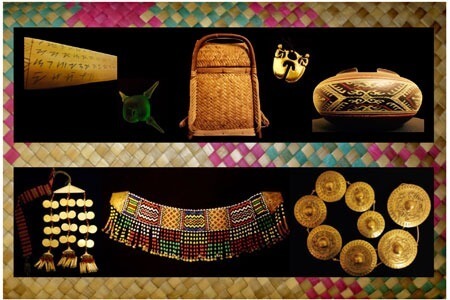 Together, says curator Anthonie Tumpag, an NIU graduate student in anthropology, these people represent a glimpse into a vibrant heritage of the Philippines that once flourished throughout the islands prior to Spanish colonization in the early 16th century. Created in observance of October’s Filipino American Heritage Month, the exhibition provides insight into the origins of the Filipino people, whose technology, motifs and knowledge are inspiring younger generations at home and abroad who wish to reconnect with their roots. Its curator is among those. 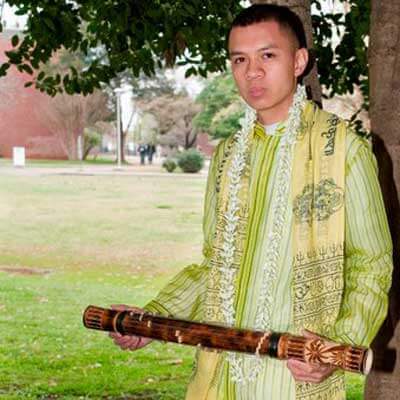 “Understanding my own Filipino-American identity proved difficult growing up in a small town in the U.S. where there wasn’t an established Filipino community. Beyond my home, the food, and my mother’s stories, I felt quite detached from my ethnic heritage,” he says. Visitors can see the pieces on the fourth floor of the library inside the Donn V. Hart Southeast Asia Collection display cases through the end of the month. For more information, email Tumpag at Z1679073@students.niu.edu.